Actress Amanda Peterson, who is most known for her role as Cindy Mancini in the 1987 romantic comedy film, ‘Can’t Buy Me Love’ passed away at the age of 43. According to People Magazine, Peterson died unexpectedly in her sleep at her home in Greeley, Colorado. Amanda Peterson’s father told TMZ that family members hadn’t spoken to Amanda since Friday, July 3rd. The family became concerned about their loved one. Amanda’s body was later found in her home on Sunday, July 5th. The actress’ mother, Sylvia Peterson said that her daughter’s unexpected death may be due to health related issues her daughter was facing which includes sleep apnea. 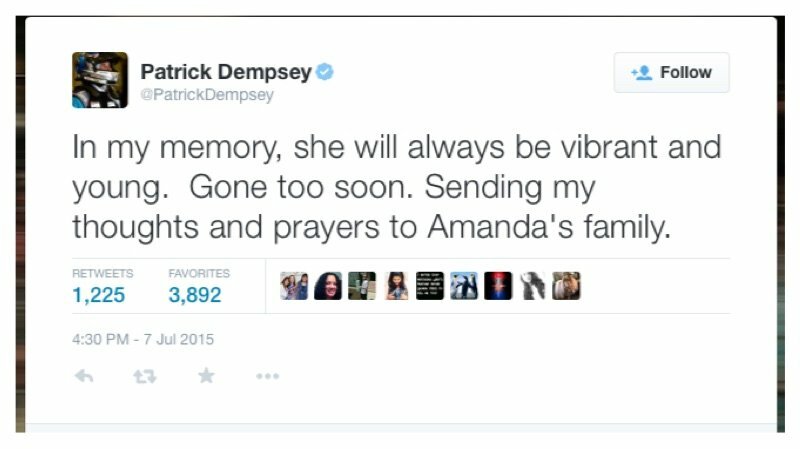 Peterson’s former ‘Can’t Buy Me Love’ co-star, Patrick Dempsey recently shared his condolences on his Twitter page. Dempsey played Peterson’s potential love interest, Ronald Miller in the film. Amanda Peterson’s cause of death has yet to be determined and an autopsy report is still pending. She is survived by her second husband, David Hartley and two children.